Are you in need of a NAATI certified Farsi translator in Australia? Look no further than OPAL Translation. We provide affordable and reliable NAATI accredited Farsi translation services. OPAL Translation has continuously been providing Farsi translation services for more than seven years. We have translated thousands of documents for hundreds of satisfied clients ranging from global brands, small businesses, individuals, government institutions and organisations. All of our Farsi translators are trained, and NAATI certified. They have consistently provided high-quality translations with fast turnaround time. Our translators are expert linguists who have worked in the translation industry for years and have a deep understanding of the Farsi and English language. Whether you need a Farsi to English or English to Farsi translation, we can provide you with our high-quality NAATI accredited Farsi translation services at an affordable cost. Avail of our services today and get to know why we are considered as the leading Farsi translation services provider in Australia. Fill in your details in the online enquiry form on this page, and we will send you an exact quote in just 15 minutes. With all the nuances and vocabulary of the Farsi language, an experienced linguist is needed to translate it successfully. We are proud to have NAATI certified Farsi translators who are capable of taking the challenge and producing top quality Farsi translation services. Our Farsi NAATI Translators have time and again proven that they are capable of producing 100% accepted Farsi Translations in all Australian authorities who require NAATI Farsi translations. Upload your document using our online translation form and get it assessed by our linguists for free. We will send you a firm quotation in just 15 minutes at no cost to you. OPAL Translation is mostly known for its fast Farsi translation services and competitive pricing. We believe that getting your translations done doesn’t need to be expensive. Starting at AU $69, we can complete your document translation fast. Our Farsi NAATI translators can complete a Farsi document translation in just 2 to 3 business days using our standard Farsi translation services. If you need your document sooner, we have you covered. We can take on the challenge and complete your translation in just 24 hours through our Urgent Farsi translation services option. Simply get in touch with the Live chat or let us know your deadline when you complete the free translation form. We look forward to completing your translations. How Does Our Farsi translation services Work? First, complete the free translation quote form on this page. Then, check your email in as fast as 15 minutes, we will provide you with a firm quote via email. Process your order with PayPal, credit cards or bank transfers. Once finished, an email containing the draft of the translation will be sent to you. We will ask you to review and approve it. If approved, we will email you the final soft copy and a hard copy via post. Around the world, more than 60 million speak the Farsi language. The Farsi and Dari languages are both Persian. 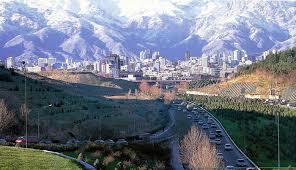 Farsi is simply the name given to the Persian language in Iran. As such, a Farsi speaker can understand a Dari speaker and vice versa. 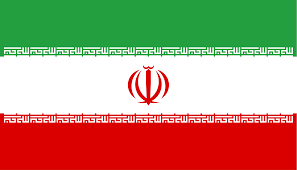 In Iran, Farsi is the official language being used. Its alphabet is derived from the Arabic alphabet.